Essential resurfacing work will be carried in Banff next month. The road will be closed between Castle Street and Boyndie Street West during the weekend of September 22-23 and the following one. 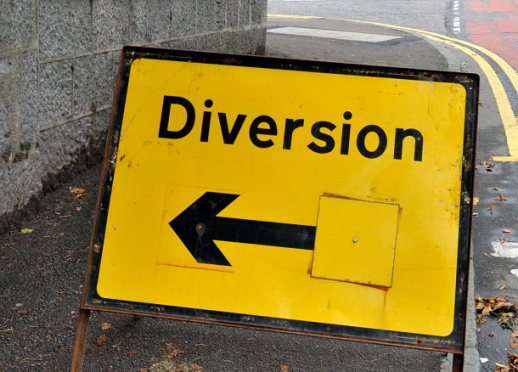 Diversions will be in place, but motorists are advised there will be no access onto Seafield Street for through traffic. Local traffic is advised to drive via Golden Knowes Road, Lusylaw Road, Whinhill Road, Bellevue Road and Sandyhill Road. Aberdeenshire Council’s roads manager, Derek Murray, said: “This work is essential to ensure the road remains fit for purpose and is safe for all road users. “We appreciate that any maintenance work on the road network can cause inconvenience, but I would ask the public to bear with us while we carry out these repairs on what is a busy road.